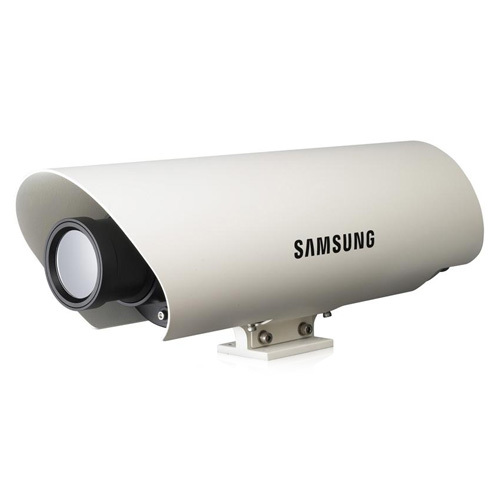 The Samsung SCB-9051 is a stable night vision camera with microbolometer thermal imaging sensor. This camera has 320(H) x 240(H) resolution with advanced infrared imaging technology suitable for short and medium range monitoring purpose. It is light, yet rugged and is ideal for 24/7 powerful monitoring solution. This is equipped with a two-dimensional uncooled thermal sensor technology, neither sensor cooling nor sensor maintenance are required. The thermal camera with outstanding detection range of 360m with no lighting. The SCB-9050 has a 14mm lens which gives it a 30° horizontal field of view. The camera is integrated into IP66 rated enviormental enclosure. The Samsung SCB-9051 has many exciting features for users of all types. 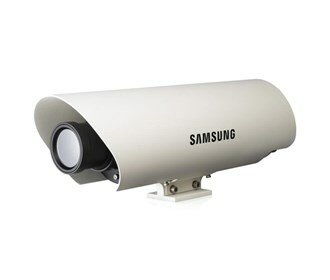 See the Samsung SCB-9051 gallery images above for more product views. The Samsung SCB-9051 is sold as a Brand New Unopened Item.